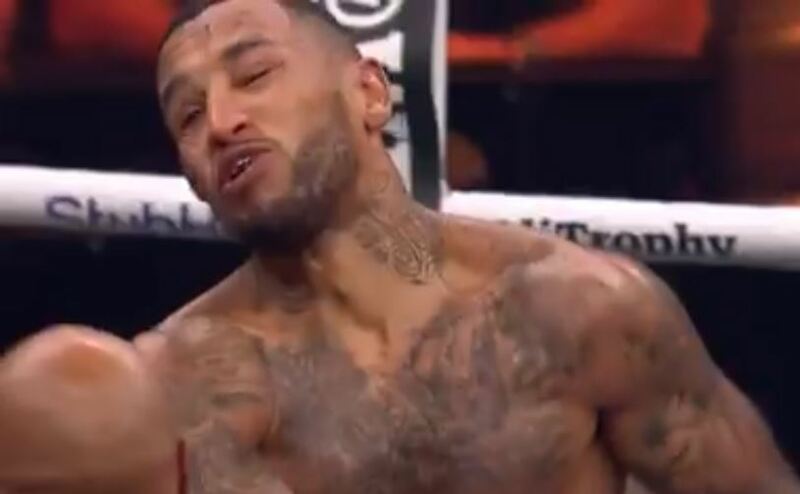 Could this be the worst cheap shot in modern boxing history? This weekend in the UK a potential front runner emerged for it, certainly of 2017. They say a boxer losing his cool is almost the cardinal sin to commit inside a professional boxing ring. A dangerous place as it is, even under normal conditions where two trained athletes compete to knock one another out or score more points than the other with more damaging blows. The UK’s Louis Adolphe surrendered his unbeaten record last night after when the referee said ‘break’, he took it upon himself to knock his opponent Nathan McIntosh out clean. The result for him was an instant disqualification. An incredible foul perhaps made only more shocking by the celebration straight afterwards with middle fingers raised proudly in the air. It has not been reported yet what action the British Boxing Board of Control who regulate the sport in the UK, might take. I was also appalled by Louis’ action but there is no need for such a hateful comment wishing him dead and never any excuses for racism! !